For more on Fancy subscription boxes and a coupon code, jump down below, but let’s get to the review of the September Jennifer Love Hewitt Fancy Box. This is one of the five celebrity curated boxes that Fancy offers. As you probably know if you read the blog, I have a Julep subscription so in theory this should work since I love nail stuff. The thing is this looks like something it takes at least a little skill to apply and I am still working on not getting nail polish all over my fingers, hands and table. There is no way I would be able to pull this off and not have those little beads everywhere. I also don’t think it’s the best look for work. In terms of mass appeal, every time I look at the pictures I envision those beads scattering all over the floor and women frantically running to keep their toddlers and dogs from eating them. It’s an interesting item, but I think impractical for most folks. Another one for my gift stash. Now according to the Fancy site this product is $10, but the L’Occitane site lists it at $8.50. As you can tell from the picture, this product is very small basically a deluxe sample size. In a box this expensive where even shipping is extra, I expect better sizes. And if you are going to go the sample route, then either do a couple items as a “travel set” or pick some things that work great in someone’s every day bag, like hand cream, lip balm, antibacterial, etc. 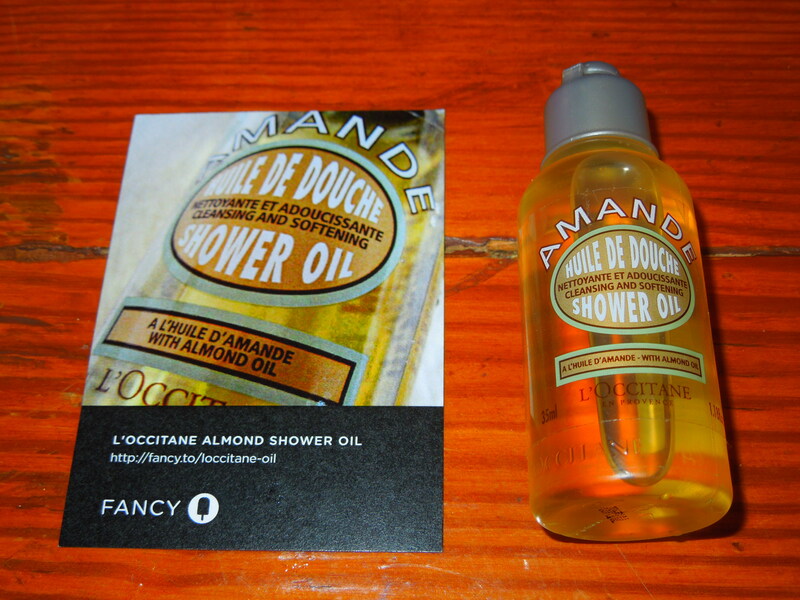 L’Occitane does make wonderful items, so the product itself is welcome. While I’d never pay $6.00 for these, they are fun and practical, plus the tin is extra cute. I’m not sure if you can tell in the picture, but the tin came slightly dented. 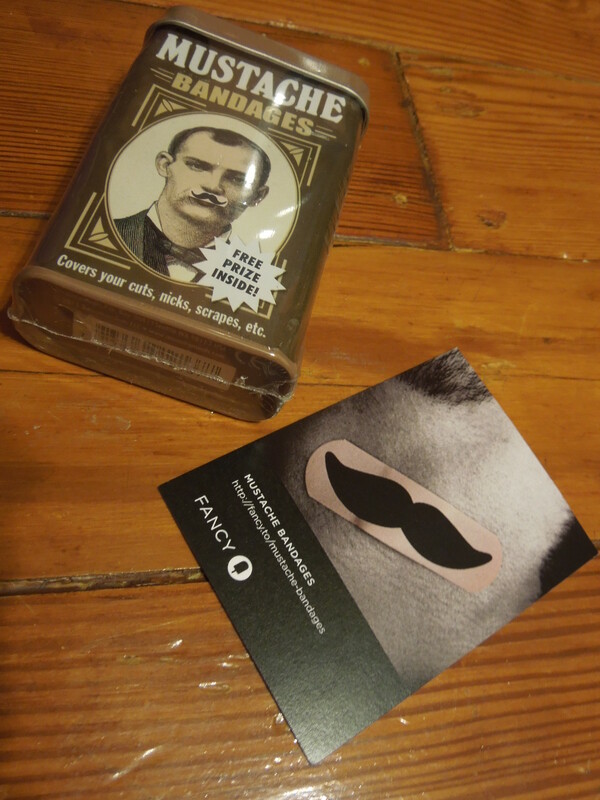 It included a “free prize inside.” Mine was a temporary tattoo of a zombie so that’s a double win right there. This is a brass necklace with a long chain. 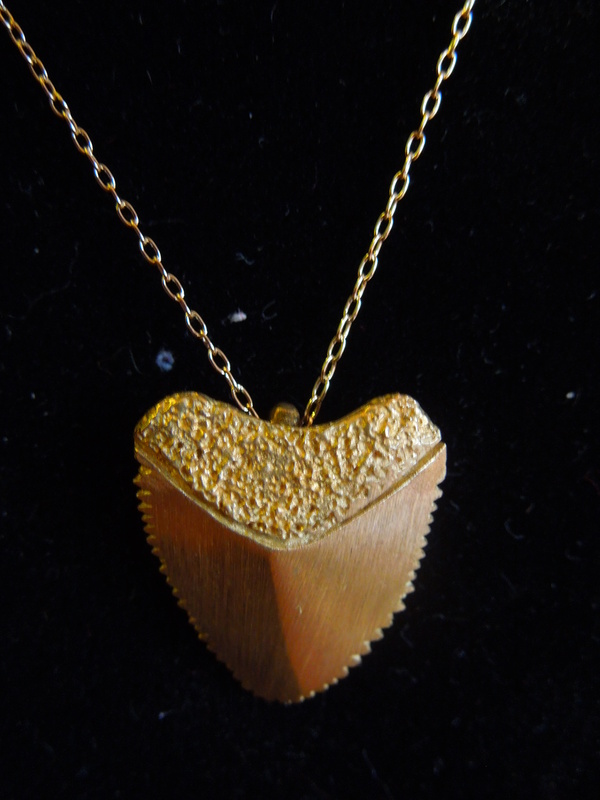 For me personally it doesn’t read as a shark tooth. 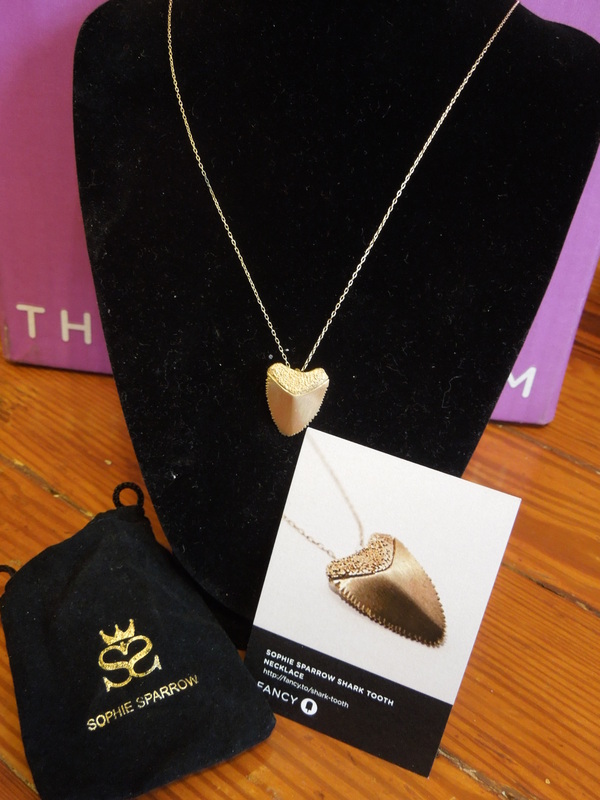 My first impression was more toward a variation on a Native American arrowhead. Honestly, it’s not my aesthetic and my brass chain actually came with a tiny bit that was already tarnished. I think the necklace was aiming for edgy and instead languishes at mediocre and uncompelling. The retail on Fancy is $40, but a quick google search found tons on ebay and craiglist in the $20/$25 range. So if you happen to love this, I’d suggest picking it up on one of those sites for a lot less. This is a journal with an interesting variation. 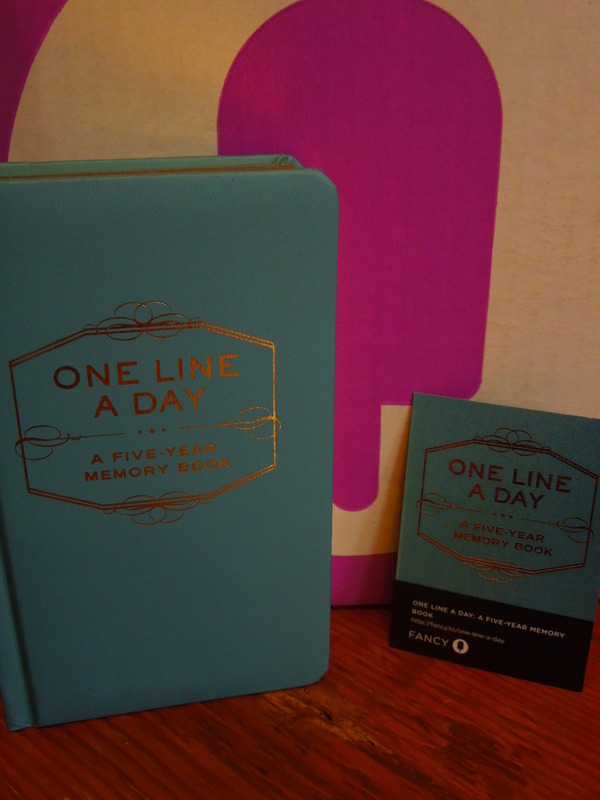 It’s a 5 year journal that is set up for you to write just one line a day. It’s well made and a cool concept, but sadlyI have enough daily writing projects. I do think however it will make a great gift. I’m thinking it’s perfect for an expectant parent, and once the kid is born they can jot down a line every day about how trying or wonderful parenting can be. Now again, this is overpriced on Fancy. According to Fancy, the price is $25, but you can pick it up on Amazon for $12.66. So overall, I was kind of disappointed with this box. There wasn’t much for me to use personally and it didn’t feel particularly Jennifer Love Hewitt-esque. 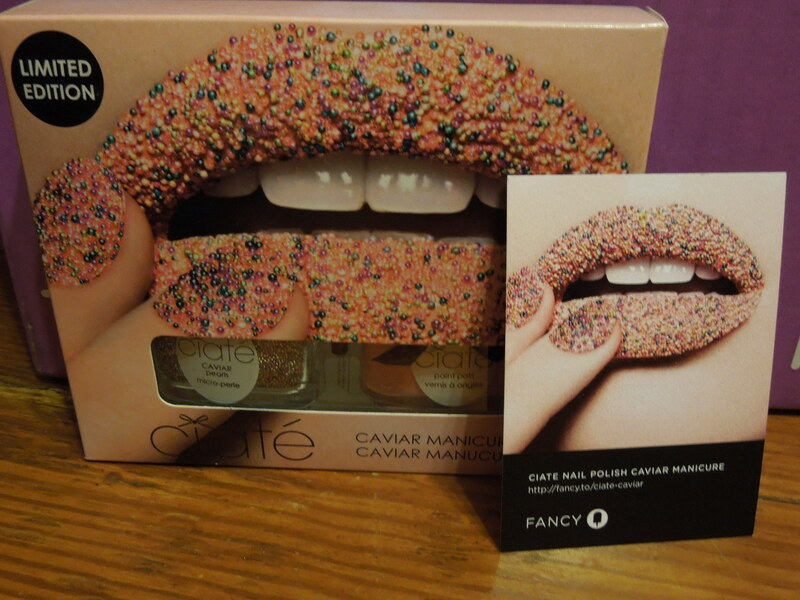 The cards that come with the box give a little info on the products, but also state why the celebrity chose them. This time, only three items had info on why JLove chose them (the necklace, the bandaids and the journal). The nail polish set and the shower oil only contained generic messages. This box cost me $46.95, according to the retail values (using the cheapest prices I found) it’s worth $92.16. The problem is I probably wouldn’t have selected a lot of these—even as gifts. I’m hoping next month is improved otherwise as much as it breaks my heart, I may need to say goodbye to the Jennifer Love Hewitt Box. What did you guys think of the items? 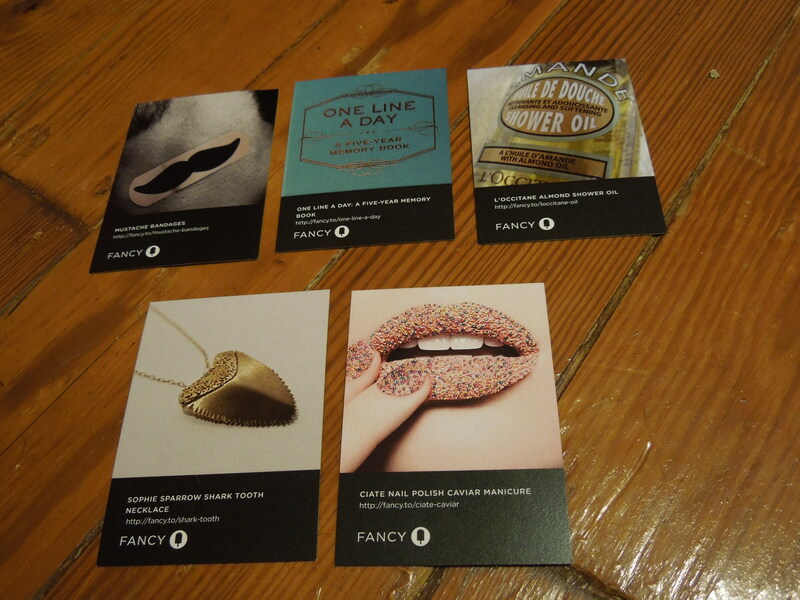 Am I being too hard on Fancy? Did you love anything? Well, I’ll say that none of it but the mustache band aids are really to my taste, so I’d be feeling pretty bummed by this, too. These Fancy boxes seem pretty hit-or-miss; I wouldn’t blame you for canceling when there are so many other subscription services out there. It’s nice to hear someone else had the same reaction as me. A few other blogs posted really positive reviews so I was wondering if maybe I’m just too critical. 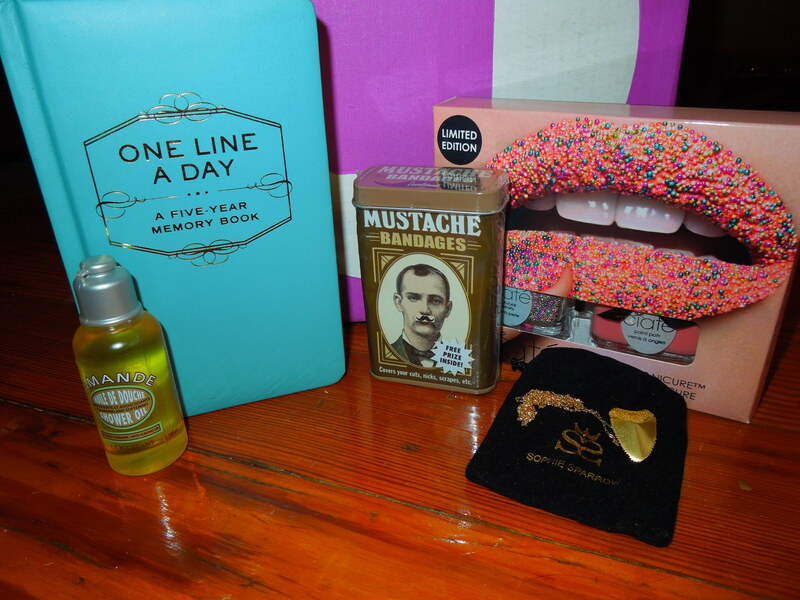 I did really love her box last month and found everything in it useful, so I’m hoping the next one will be better.